Being an employer of choice is a strategic priority for Tolko. We provide opportunities for youth to explore careers in forestry by setting them up for success right from the start. 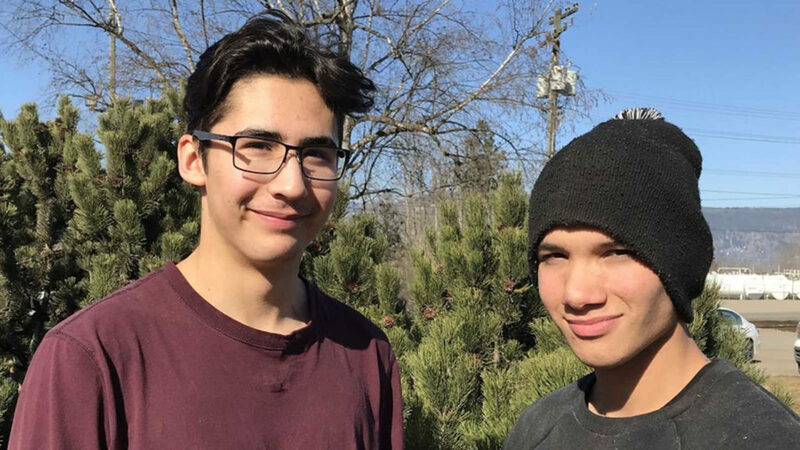 Reid L. and Matt J., both 18, are energetic and motivated young men from the Okanagan Indian Band (OKIB) who now work full-time at Tolko’s Armstrong Lumber facility near Armstrong, BC. Last year, Tolko teamed up with Bowman Employment Services from Vernon, BC, and OKIB to deliver an intensive 4-6 week-long program called ‘Train to Work’ which provides youth with practical skills that prepare them for life and the workplace. After the program was successfully piloted at Tolko’s Heffley Creek Division in the spring of 2018, it was rolled out at other divisions, including Armstrong Lumber and Armstrong Plywood. Justin Giddens, HR Business Partner with Tolko’s Armstrong Division says, “This program has proven its value by continuing to bridge the gap between the communities that we operate in, and the opportunities Tolko can offer them.” Tolko’s Armstrong Divisions worked with Bowman to develop a curriculum that teaches essential skills such as interpersonal communication, computer and document management, literacy and numeracy testing, workplace safety, and the importance of mutual respect and Tolko’s company values. Alan Armstrong is a Sawmill Superintendent who has been with Tolko for the past eight years. He and Justin worked alongside the OKIB’s employment advisor to conduct interviews and select those based on their merit and overall suitability for the program. Reid, who works the Drop Gate in the sawmill, has been working permanent, full-time with Tolko for about five months. Before joining Armstrong Division, Reid began his career with Tolko’s Lavington Division, which is located about 15 km east of Vernon, BC. “I heard about the program through my mom”, explains Reid. “My dad also worked for Tolko for a few years, so I thought it might be a good fit for me”. He adds that his goal was to obtain full-time employment with Tolko and felt that the Train to Work program was a great way to get his start. Matt, who has been with Tolko full-time for six months, currently works the Re-Saw station at the lumber mill. It’s a physically demanding job, but he says that so far, he’s enjoying it. And like Reid, he heard about the program from his mom. Both Reid and Matt were impressed with how much the Tolko values were taken seriously at their workplace, and how they were always treated fairly and with respect. Above photo: Reid L. and Matt J. from Tolko’s Armstrong Lumber Division, Armstrong, BC.